Jill A. Pursell - The Kafafian Group, Inc.
Jill has been with The Kafafian Group since August 2008. She works in all of our lines of business and areas of expertise, with a focus on process improvement, strategy, and financial advisory. Jill’s career in the financial service industry spans over 30 years. She has worked in nearly every department within a financial institution, which has provided her with a vast knowledge of banking. 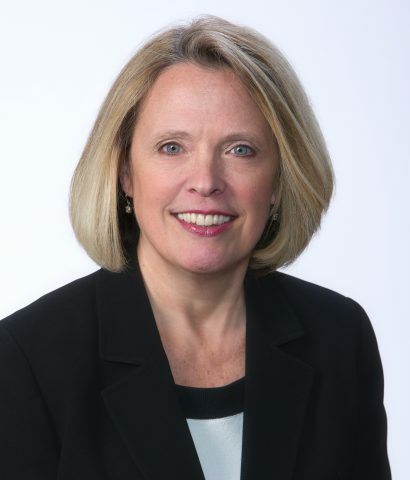 Her most recent bank experience was with KNBT (now BB&T) in Bethlehem, Pa. She was an Officer of the Bank and supported the Chief Financial Officer in providing assistance with investor relations including the creation of presentations to analysts, brokers and investors, and reporting and production of SEC filings. She also assisted in the preparation of annual budgets and ongoing peer analysis. Prior to this position, Jill was Vice President and Corporate Secretary of Vista Bancorp, Inc. in Phillipsburg, N.J. She started with Vista as a teller in 1978, and over her 23 years with the bank she performed many duties and served various roles within retail banking, operations, HR, finance, investor relations and more. She played an integral role in the success of the company’s IPO and secondary stock offering, and also provided assistance with merger and acquisition activity and strategic planning. In addition to performing all responsibilities of the Corporate Secretary, Jill was effective in serving as a confidante and resource to the board and executive management. One of her biggest accomplishments as Corporate Secretary was winning a proxy battle against a group of dissident shareholders in obtaining a majority vote to remove cumulative voting from the company’s certificate of incorporation and bylaws. Vista was eventually acquired by United Trust Bank (now PNC Financial Services Group, Inc.) in Bridgewater, N.J., where Jill held the position of Vice President. In this position, she served on the merger integration team and was instrumental in assisting in the review of the consolidated deposit and loan operation departments for process improvements and the development and execution of an implementation plan. Jill’s professional education includes the American Bankers Association Stonier Graduate School of Banking, University of Pennsylvania Wharton Leadership Certification, Villanova University Six Sigma Green Belt-Financial Services, American Institute of Banking, and Society of Corporate Secretaries & Governance Professionals. Outside her career as a consultant, Jill enjoys fitness. She has completed the Blue Cross Broad Street 10 mile run and finished several Spartan Races. She has also participated in numerous 5-K runs benefiting local charities. Jill’s other favorite pastimes include crafting of all kinds, but she particularly likes quilting, crocheting and repurposing old pieces of wood and furniture. Read what Jill has written or where she's been mentioned. Hear podcasts where Jill has offered her insight. HOPE Inside – A Model for Financial Inclusion and Increased Business for Banks / Regulatory Relief?